Start with a clean face. Wash your skin with a gentle cleanser. Make sure to do the treatment on a day where you won't need to wear makeup. It's not recommended to wear makeup right after a treatment. Sterilize your Banisher every time you use it. Pour some rubbing alcohol into the cleaning container. Set the roller head in the container for at least 5 to 10 minutes. Take roller out and leave to dry. If alchohol is not available, you may use a denture tablet in purified water. Leave roller to dry. When the Banisher is dry, you are now ready to begin. Clean and sanitize your hands. It's important to have a clean area so the area you will be treating will not get infected. Make sure not to roll or stamp over active acne as that may spread bacteria. Using the Banisher, at first, may be painful. For beginners, a numbing cream can be applied all over the face. Another recommendation is to use an ice pack to numb the face before needling or to take some ibuprofen an hour before rolling. These steps are optional, as pain threshold differs for everyone. Start with a small area and roll in one direction using light to moderate pressure. Use about 3-5 strokes in each area. For the pen stamp, press the bristle end down vertically as if "stamping" instead of rolling and lift it up and stamp back down again. Stamp about 3-5 times to each area. After going in one direction, move perpendicular to that area and roll the roller in one direction. You can roll back and forth, however going one way equals one stroke and moving it back will equal another stroke. Move along directions of the face. Most common are along the cheeks, sides of face. If pain is tolerable, roller can be used along the forehead, sides of nose, and jawline. Minor bleeding may occur and is normal part of micro needling process. However, if uncomfortable with the bleeding, it is recommended to stop micro needling and begin again at some other time. When done rolling, apply some of the vitamin enriched serum onto the skin. Apply a dropper full of serum on clean palms and gently pat along the face. Some minor stinging may occur due to the small amount of citric acid in the serum. Avoid wearing makeup or creams for the rest of the day. Skincare and makeup routine can be followed as normal the following day. If you roll at night, you can wear makeup and continue your regular skincare routine in the morning. Redness may occur and will disappear within the next morning or in about 8 hours. We recommend replacing the Banisher after 2 months for best results. Banisher Roller is recommended to be replaced after 2 months. The reason for this is to avoid any infection on the skin as bacteria and dead skin may accumulate between the bristles. Much like the replacement of contact lens case, it's important to replace the roller frequently to avoid infection. Additionally, old needles can be dull and injure the skin. Store Banish Oil in a cool, dark place. When the serum becomes a yellow color, it means it has oxidized. This oxidized serum can be used on the skin; however, it will not be as effective as a fresh batch. It is recommended that serum be repurchased every 6 months, as efficacy will fade away over time. 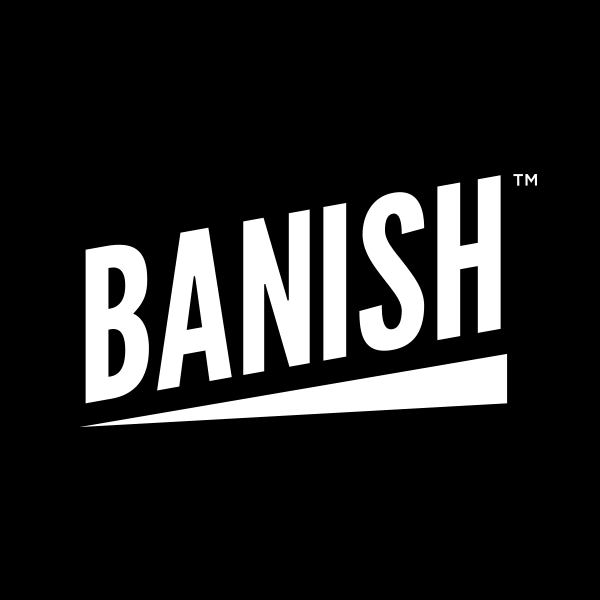 You can use the Banisher as often as you can, but it's recommended to start out with once every 2 weeks and then build up to every once a week. It takes about a month for skin to heal, so be patient to see results! Please note that scarring is damage to the skin and don't believe any product or treatment that will guarantee flawless skin overnight! It takes months, upon years, for the skin to heal. My skin still has some remnants of scarring, but looks way better than it did 6 months ago. Other notes: I want you to trust the system and take your time with it. Set aside an evening to try it out, and then use it 2 to 4 times a month and see how your skin looks after 3-6 months. I started seeing improvements within the first month. My mom immediately told me "wow, your skin looks blooming!" like there was a natural glow to my skin. She also couldn't notice the scars that once bothered my skin so much. How Often Can I Use The Banisher? Which Banisher Should I Get?